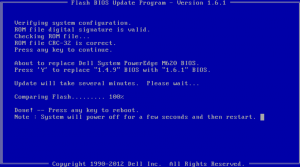 I was struggling with BIOS upgrades for our new Dell servers, as Dell didn’t provide bootable ISO image for BIOS upgrades. After searching for DOS bootable images I have found FreeDOS project. 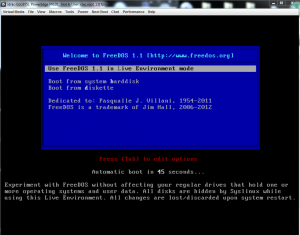 Unfortunately FreeDOS 1.1 LiveCD mode is not supported out of the box. To add your own files to the iso, just use trial version of Magic ISO Maker (300MB maximum), or some similar program. 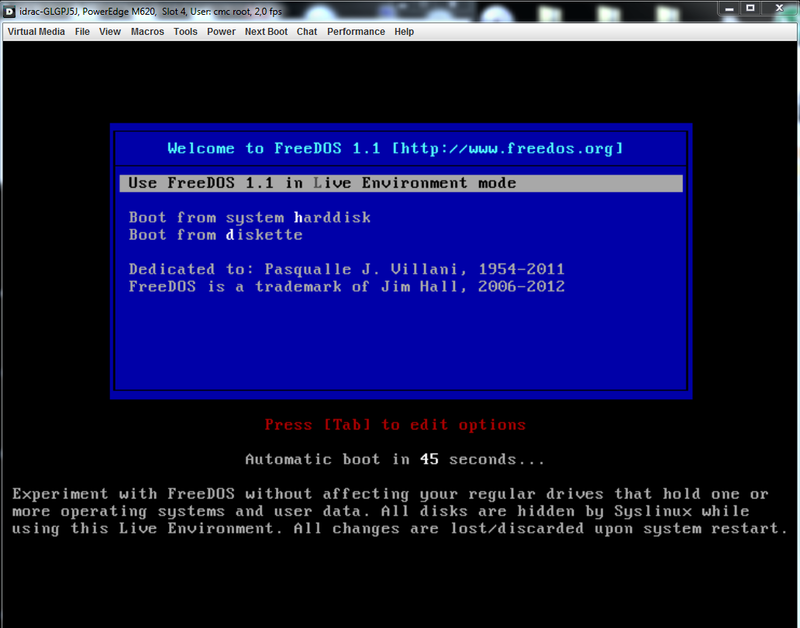 Just put your custom files in FREEDOS folder and after booting you will be able to run them in DOS environment. After boot process is complete run dir command to see what files are in current directory. 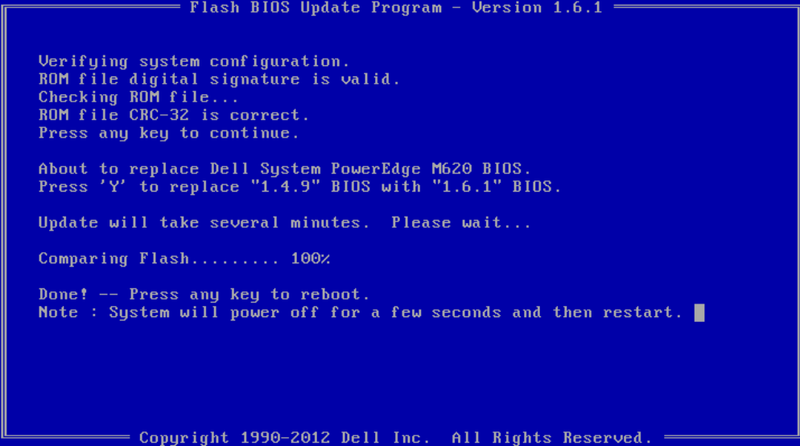 On the following picture you can see that Dell BIOS update utility – M620-0~0.EXE is present in the directory. This Bootable DOS ISO was tested on HP, DELL, Supermicro iKVMs and on VmWare. Line numbers can be changed, modifyng the $(seq 1 5); part.